Sid, Axl, and Ivan volunteer to make a late-night fast-food run for the high school theater crew, and when they return, they find themselves. Not in a deep, metaphoric sense: They find copies of themselves onstage. As they look closer, they begin to realize that the world around them isn't quite right. 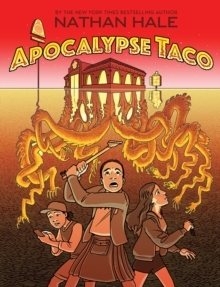 Turns out, when they went to the taco place across town, they actually crossed into an alien dimension that's eerily similar to their world. The aliens have made sinister copies of cars, buildings, and people-and they all want to get Sid, Axl, and Ivan. Now the group will have to use their wits, their truck, and even their windshield scraper to escape! But they may be too late. They may now be copies themselves . . .